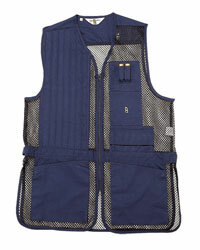 The Mesh Shooting Vest is made of sturdy mesh for warmer weather. Features padded gun pads, choke tube pocket and side tab adjustment. Bellow pockets and extra two shell loops for spares.